The summer weather may be changeable, but as ever you can rely on the team at Chapter One to brighten your outlook with the promise of top-quality food and excellent value for money. Once again we're offering you the chance to enjoy a superb three-course a la carte dinner for just £34.95! The special price of £34.95 for three course is available now until September 24th 2015. Please quote 'Summer Dining' when booking. What's more to welcome our new Manager Simon Bezuidenhout to the Chapter One team, we have included a glass of bubbly too! Simon has joined Paula and the rest of the team ensuring we continue to deliver an outstanding dining experience for all our guests. *As a special introduction Simon would like to offer you a complimentary glass of bubbly when taking advantage of our special Summer Dining offer. It's his way of saying 'hi' and thanking you for being a valued Chapter One customer. Simon's impressive track record speaks for itself. Most recently he was at the Terroirs Group, working at their flagship central London establishment, Terroirs Wine Bar & Restaurant and prior to that the award-winning Trinity in Clapham. The UK's top restaurant booking site has put us in their Top 50 Fit for Foodies establishments. To come up with this definitive 'fit list', Open Table analysed 400,000 reviews from verified diners they knew to have a real passion for great cooking. 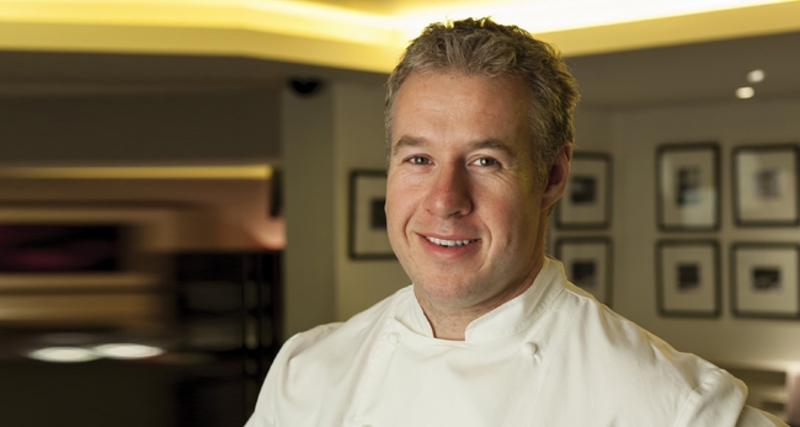 It's a ringing endorsement of the creativity and expertise of our Chef-Patron Andy and his talented kitchen team. Don't forget we only hold Gourmet Evenings three times per year and it will be the last Gourmet Evenings for 2015 on 2nd, 3rd and 4th November. Places are booking fast but we do have limited availability. The evening starts with a Champagne and Canapés reception, followed by a seven course formal dinner with each course being specially matched with a particular wine. You will get the opportunity to meet the wine producer as well as the Chapter One Chef and team. All for the very special price of only £95 per person inclusive of all food and wine.